AND TO RENEW YOUR MEMBERSHIP! The Arkansas Canoe Club is a recreational organization consisting of over 700 member households representing eight chapters in Arkansas, Louisiana, Oklahoma and Texas. ACC Members love to paddle the rivers, streams, bayous and lakes of The Natural State and beyond. Regardless of whether you are new to canoeing, kayaking or rafting or if you are a veteran, you will be among friends in the Arkansas Canoe Club. We are dedicated to participating in and promoting the sport of paddling by holding paddling schools and clinics, whitewater rescue courses, river cleanups and being active in conservation and river access issues..but most of all WE HAVE A LOT OF FUN!! 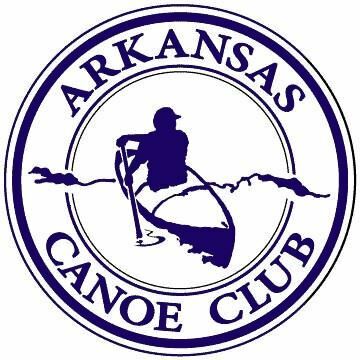 If you would like to join the Arkansas Canoe Club, information about ACC Membership can be found here. Information about our eight ACC Chapters can be found here. Our Events Calendar is at the bottom of this page. Want to find out more information about the club, ask a question about paddling or paddling destinations in Arkansas, or just see what is going on? Everyone is welcome to visit our Arkansas Canoe Club message board or our Facebook page to ask a question, connect with Arkansas paddlers, or see what is happening around the state.